You can now download iOS 12.1 beta 1 IPSW links and OTA update for your iPhone, iPad and iPod touch device. 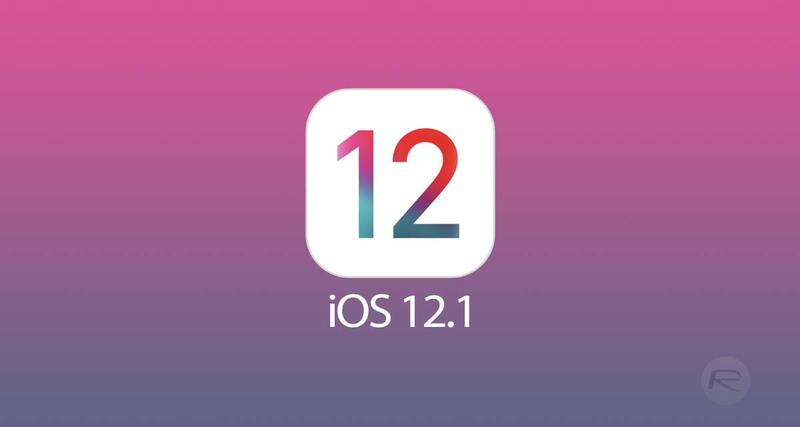 Now that all of the excitement is over and iOS 12 is no longer the next big thing, attention has turned to what will come after it, with Apple making iOS 12 beta 1 its next focus. Available to developers now and ready for testing for anyone brave enough to install it onto a device, iOS 12.1 beta 1 brings with it the usual under-the-hood features that most people will not notice, unless of course you happen to but up against a particular bug that has been fixed, but perhaps the biggest addition is one that should have been part of iOS 12 – Group Facetime with support for up to 32 people. Originally announced as part of iOS 12 during WWDC earlier in 2018, Group FaceTime’s added support for up to 32 people was there in early beta releases of iOS 12 but was subsequently removed for reasons unknown. Apple did at least acknowledge the removal of a headline feature, saying that it would come in a future update, and it looks like iOS 12.1 is the feature in which that will finally make its arrival for the public at large. At least, assuming it isn’t removed in a subsequent failure. Also included in iOS 12.1 is eSIM Dual-SIM support for iPhone XS, XS Max and eventually XR. We’ll be keeping tabs on iOS 12.1 betas as they come and go ahead of its public release so be sure to check in on RP for the latest and rest assured we’ll be telling you should Apple decide that Group Facetime for 32 people should do another disappearing act. Apple continues to improve iOS and it’s always reassuring to know that the updates continue to flow even outside of the big annual update cycle that we have become accustomed to. iOS 12.1 beta 1 can be downloaded as an IPSW link from developer.apple.com or directly as an OTA update from Settings > General > Software Update section of the device. Somehow i am not getting OTA pushed and still showing i m having the latest update at ios 12.0. Anybody else with this issue.